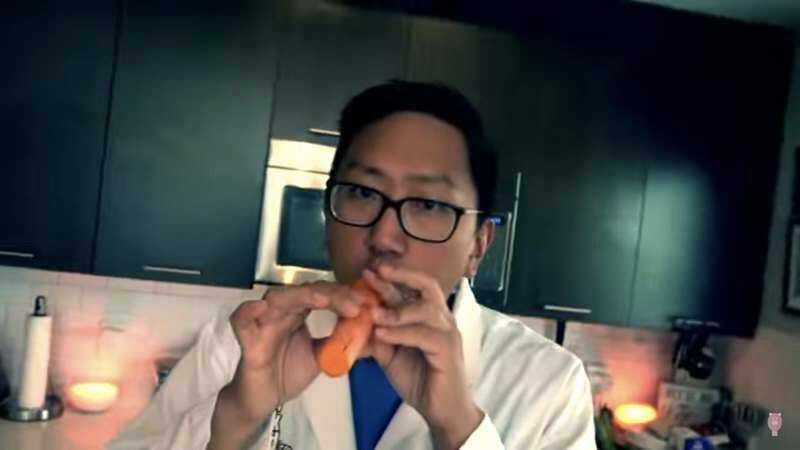 Last week, a video of somebody turning a carrot into a flute went viral. Afterwards, one can assume thousands of people tried it at home and failed miserably. Two of those thousands are the duo behind HellthyJunkFood, who took it upon themselves to see if the carrot flute was for real or just another instance of staged viral brand building. Things don’t go so well at first. When the carrot flute produces nothing but an airy whistle, the hosts try the same techniques out on a potato, an eggplant, and a cob of corn, all to disappointing results. Ah, but then there’s a twist. See, unlike a real flute, the carrot flute requires a reed, which is meant to be fashioned out of a baby carrot. The reed, it seems, is integral to the process, and in revisiting it the pair are finally able to make sweet, mellifluous music sounds. With that settled, just eat the carrot.